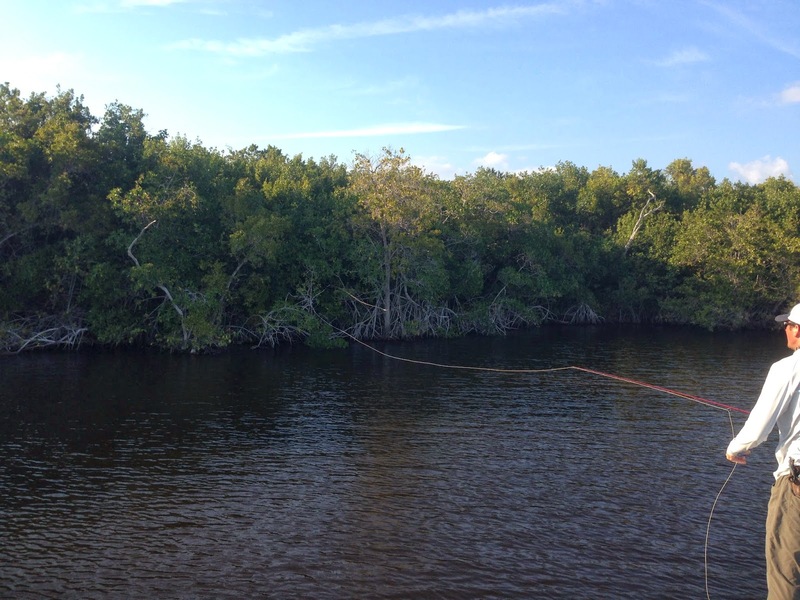 Before my good friend Andy Lee relocated to Chokoloskee, a small island on the northwest border of Everglades National Park, I had never heard of it. Now after three visits, it's a place that is familiar and holds a place in my heart. That the lovely Lee family calls the island home makes it even feel a bit like that to me as well. Each trip has been longer than the previous one. That fact may say enough about the fishery. 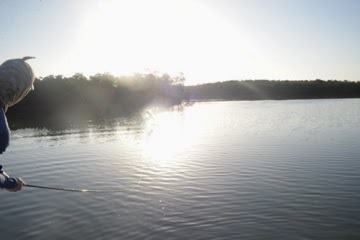 I have just returned from six days fishing in the 'Glades with Andy and my Old Man. What a time we had. 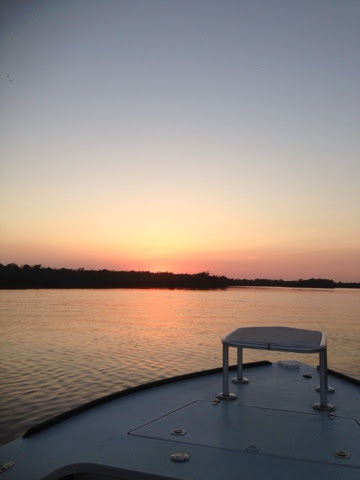 Dawn on Chokoloskee island, where you "have to go north to get to The South." The saltwater sight-fishing game is an exciting one, for lack of a better adjective. Just getting yourself a good shot at a fish can be the hardest part of the equation. Weather is a strong variable. In the perfect scenario, the fish are in en masse, you find them easily and you get lots of good shots. In the more frequent, less-than-perfect scenario, shots don't come easy and when they come, they're not ideal. 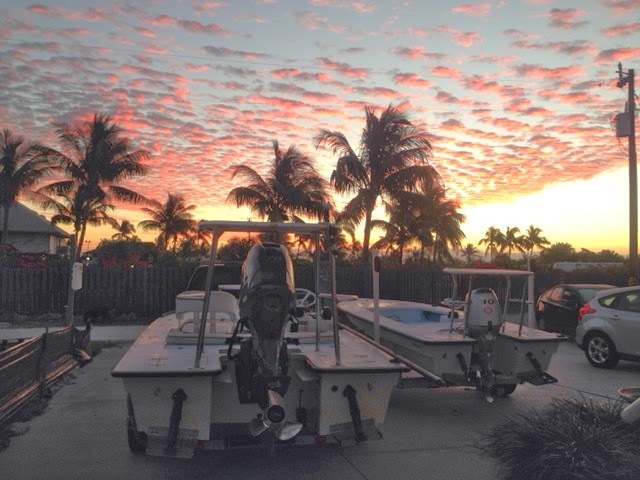 Before my first tarpon trip several years ago, I loaned a 10-weight from a friend and practiced by double hauling and shooting as much line as I possibly could, thinking that the shots would be far away and distance was the primary objective. This is far from the case when actually on the water; the vast majority of shots are in the 40' range, with many even as close as 10'. 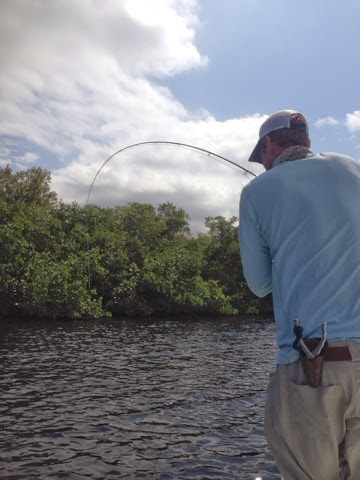 Dropping a 2/0 tarpon fly on a dime at 15' is a lot harder than I ever imagined. 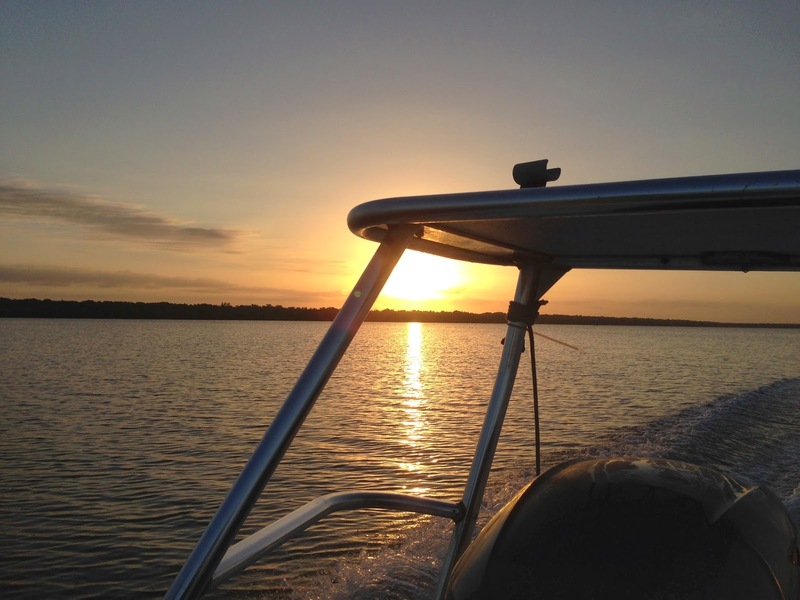 Add in wind, rough seas, moving fish, a moving boat, a 12' leader and you can begin to understand the situation. To be successful, you've got to make your shots count. You never know when the next one will come and you've got to be ready. Sometimes the shots are numerous but other times, you can go hours between. It's easy (and probably good) to forget about the last shot you blew when you're faced with the next one, but when the day, and the trip, is over, all the missed shots come back to mind and then you can lament over the ones you blew. There were certainly enough of these to reflect upon after this trip's end. Fortunately, we didn't blow them all. Creekin'. 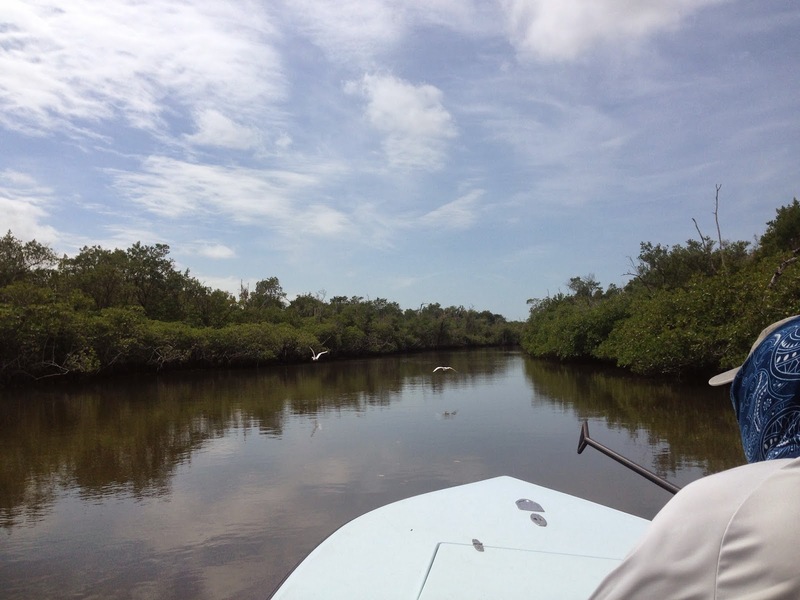 The maze of creeks in the Everglades is astounding. 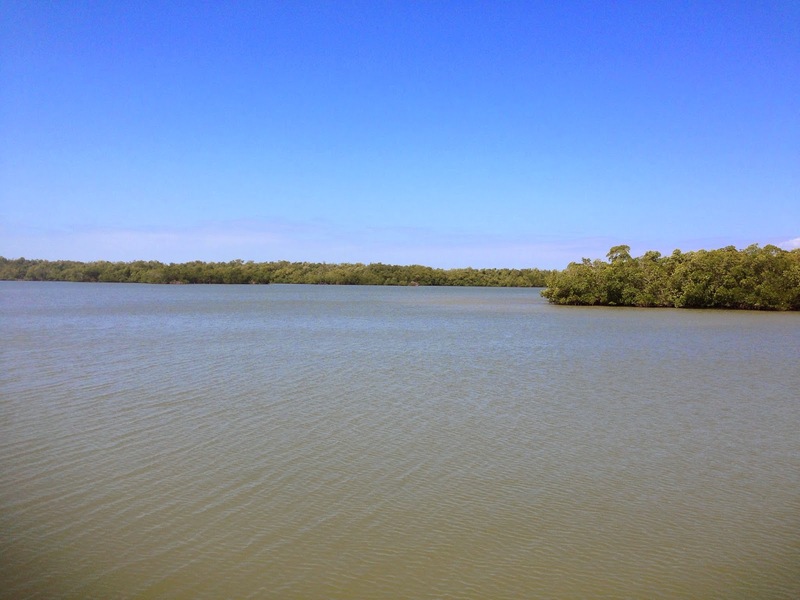 Many lead to fishable bays. At the ready, looking for the next shot. Tarpon were at the top of our list this trip and can be found in several general ways in the 'Glades: there are "swimmers," cruising fish that need to be intercepted, "rollers," fish that break the surface then sink back down and lastly, "floaters," or laid-up fish, stationary and fairly high in the water column, allowing them to be seen and fished to. The floaters are by far the most exhilarating, as the entire shot is visual and you can watch the fish react to your fly. Depending on conditions, the floaters can be hard to find, if at all. When the case, you need to find the fish somehow, so the rollers become more likely targets. After these fish break the surface, they'll sink out of sight, but thankfully they release some air as they do, and these air bubbles come to the surface, giving the angler a fairly good idea of where the fish has gone. From there, you need to drop your fly in the bubbles, let it sink and hope that the fish is still there and sees the fly. It's certainly not a guarantee, but it's about the best you can do. 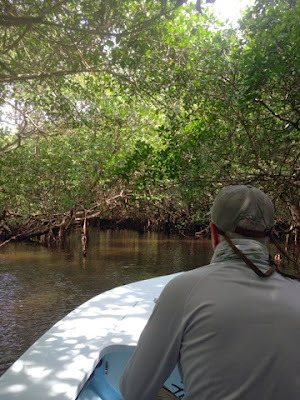 On the morning of our first day on the water, Andy took us to a small bay and we immediately started seeing rollers as we poled our way deeper into the bay. 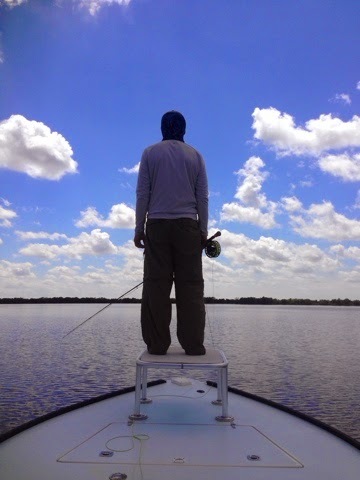 I was first on the stick that day and very quickly found myself about to take my first shot at a tarpon in a year. The fish rolled, sank and the bubbles came up. I dropped my fly in the middle of them, let it sink then started my retrieve. A few seconds later and it came tight. We were on the board. After blowing the rest of our shots that day, some weather rolled in that we were forced to deal with. This essentially shut the tarpon fishing down for the next two days. Fortunately there are other species to be reckoned with in the Everglades and we turned our attention to the wily snook that lurk amongst the mangroves. 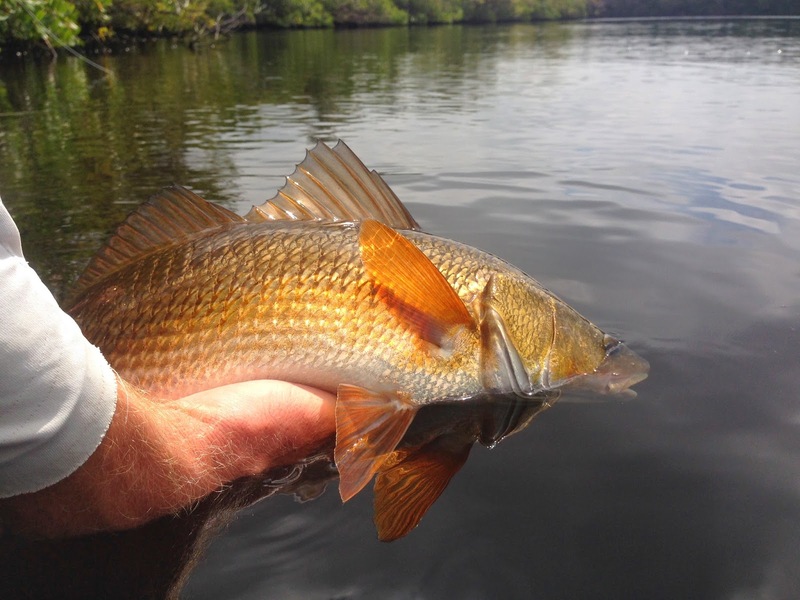 You can sight fish for snook when conditions are optimum, but there is also a lot of blind fishing involved, poling 30 - 50' from the bank, pitching flies under overhanging limbs, into creek mouths, around down trees and any structure you find. 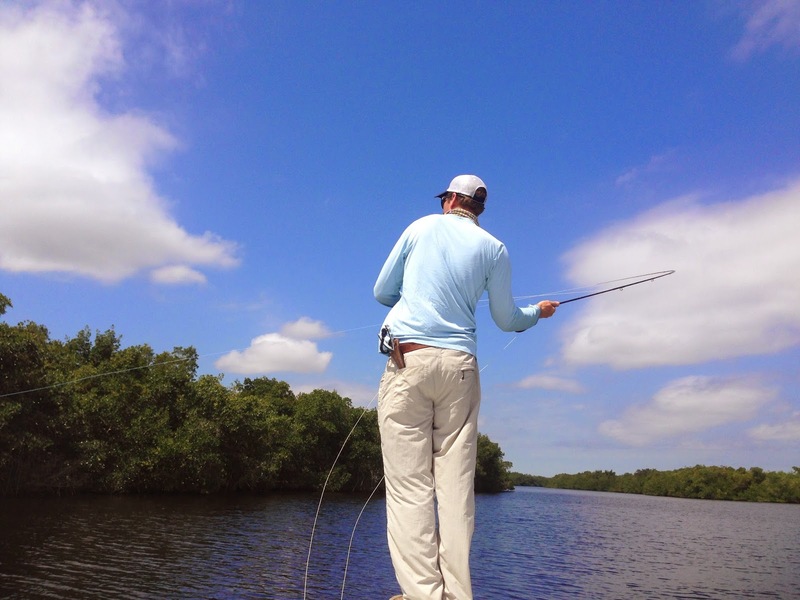 It's a fun game to play, certainly a casting workout and flies often find themselves landing in the mangroves. We had some good topwater fishing and caught a good number of small to medium sized snook. But tarpon remained in the back of our minds. 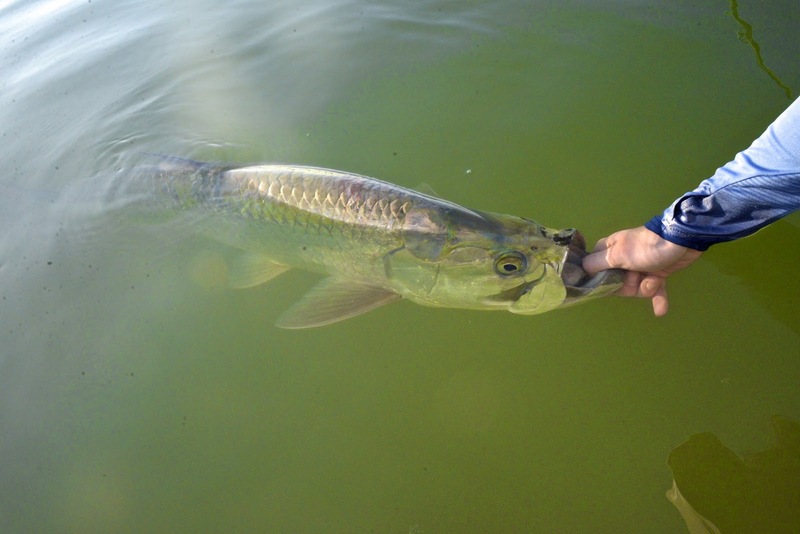 On our forth day, the weather had returned to conditions allowing for us to tarpon fish. 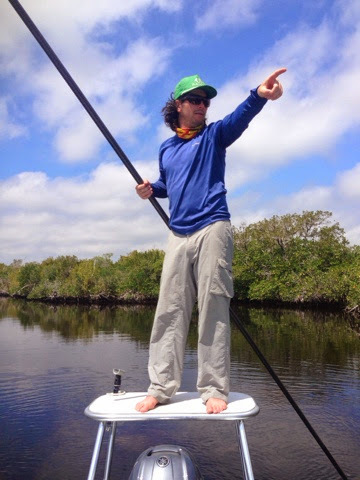 It wasn't perfect, but we did what we could, poling into the wind across big bays, looking for floaters and rollers. It was a tough day and we did our best, which turned out to be not good enough, save for one fish. The shots were in close range that day and they came and went in an instant. We got one though. 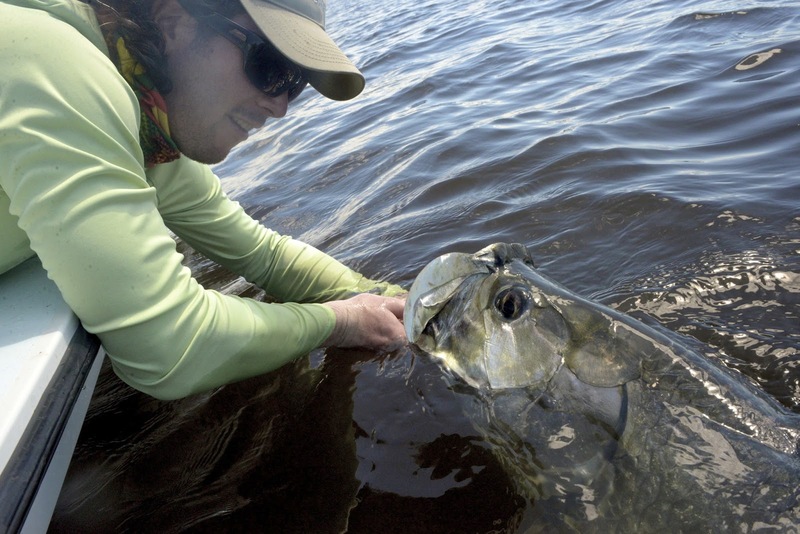 Seeing a 100-pound tarpon jump 20 feet away is an image I hope never leaves my mind. The last two days were spent in exploratory/R&D mode, scouting new spots and playing around with some new toys. We covered a lot of ground in those final days, but did manage to find a few more fish. Andy scored on a roller in one new bay and I jumped another fish that looked exactly like a dolphin when I saw it roll. Andy was in hysterics as I casted at what I was sure was not a tarpon. Then I saw a silver flash under the surface the size of a dinner table and the water exploded as the fish cleared the water. It would soon spit the fly, leaving me wondering what had just happened and thinking about the next chance I'll have at the Silver King. 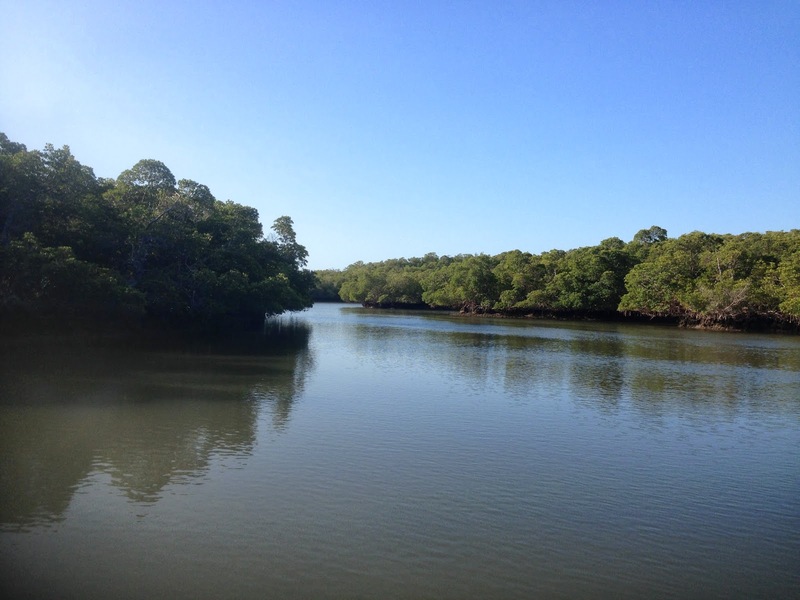 One afternoon, while running a creek from one bay to the next, a pair of birds whose names I can't remember spooked and started flying in front of the boat. We would end up chasing them up the creek for what seemed like miles, them not leaving the creek's path. They were just like those northern Maine moose that won't leave a logging road when you're behind them in your pickup. We got a chuckle out of that one. So we ended the trip with three tarpon to the boat, another one jumped, a handful of nice snook, a couple redfish in the mix, and a burning desire to get back and shoot some more. Dale Moon even made an appearance. Well done Team Robbins. Great place and people indeed. Hot damn son! Stick it to the Silver King!